I’m back in wintery England. Those who are following me on FB and Twitter will know that due to a delay in my connecting flight from Katmandu to London I got stuck overnight in the Sultanate of Oman. 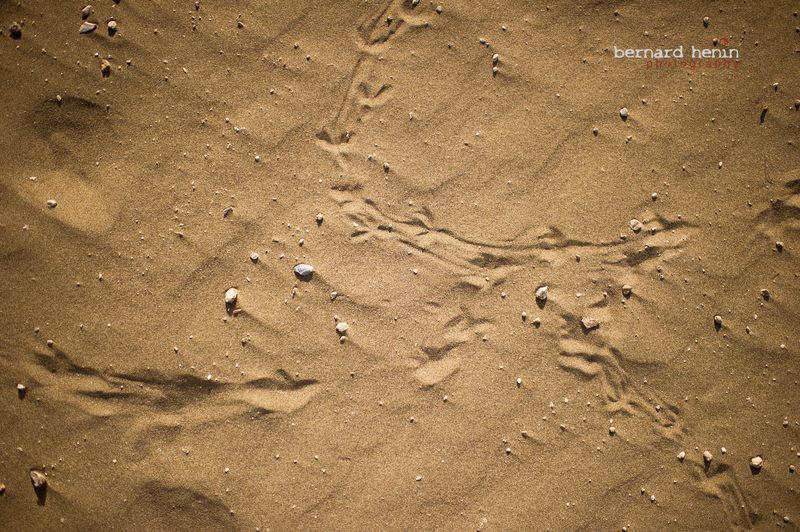 While I didn’t have time to visit Muscat, I did manage to walk around the hotel yesterday morning and got this picture of animal prints in the beautiful Oman sand. It’s the wallpaper of the month so feel free to download it! I will provide further feedback on my trip to Nepal in the next posts. A lot has happened during my trip and I’m looking forward in sharing it with you once I’m settled back home. It’s cool! I love your photos! Thanks Eric. There are still 10 wallpapers to go this year so even more reasons to stay tuned. What kind of animal is it? What kind of animal do you think that is? It could have been the arabic writting of a mathematician in Oman…. The prints are from a bird but I don’t know which one exactly. I couldn’t see any animals when I arrived at the spot.